Peter Lougheed played junor football with the Calgary Tornadoes and then the University of Alberta before joining the Edmonton Eskimos for two seasons in 1949 and 1950. There were no individual stats kept in t he West in 1949. In 1950, Lougheed had two kick returns for a total of eight yards (they didn't distinguish between kickoff and put returns thta year). While his football career was fairly short and uneventful, Lougheed went on to become one of the most noted politicians in Alberta and Canada. Lougheed was elected as the premier of Alberta in 1970, a position he held for 14 years. Lougheed's electgion starting a long dynasty for the Conservatives. Lougheed was known for starting the Alberta Oil Sands project, creating the Alberta Heritage fund, his stand on provinicial rights and opposition to the Nation Energy Program of Pierre Trudeau, and being one of the premiers involved in ghe repatriation of the Canadanian Constitution. 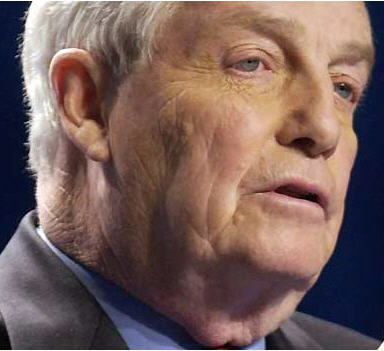 Peter Lougheed passed away on September 13, 2012.